While our shop focuses on serving the San Antonio area (and we're proud to keep it local), we stay on the cutting edge of developments in Kenworth trucks and the trucking industry, including the introduction of new engines and software. Simply because we're not associated with a dealership doesn't mean we're not up-to-date on the latest Kenworth truck technology. 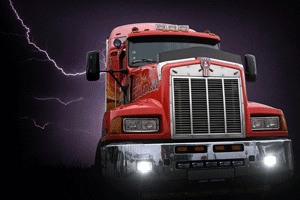 You rely on your Kenworth truck for your livelihood. Rely on us to maximize your time on the road. If you operate your Kenworth truck in the San Antonio area, contact us online to schedule an appointment or call today!